Show your support with the New Balance 36 Inch Pink Oval Shoelaces. 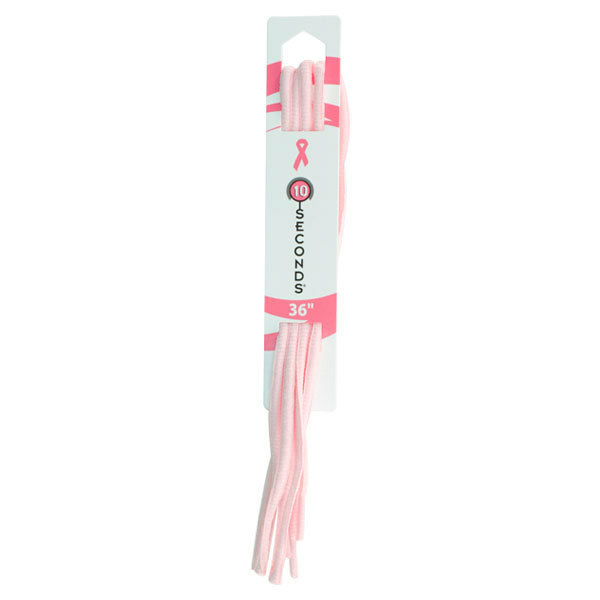 These oval shoelaces feature a light pink color and are designed to fit through 5 pairs of eyelets. With your purchase, a donation will be made to Breast Cancer Research.